The South Campus (Barkachha) acquired by Banaras Hindu University, on lease in perpetuity from Bharat Mandal Trust in April 1979 with an area of 1104 ha, is situated about 8 km South West of Mirzapur town on Robertsganj high way (map). Physiographically and climatically, the farm represents the entire Vindhyan tract, covering parts of UP, MP, Bihar and Chhatisgarh. The river Majhawati flows on the eastern border of the farm. The purpose of acquiring this farm basically was to generate and transfer knowledge and technology to the population of neighborhood. Earlier, Professor K.L. 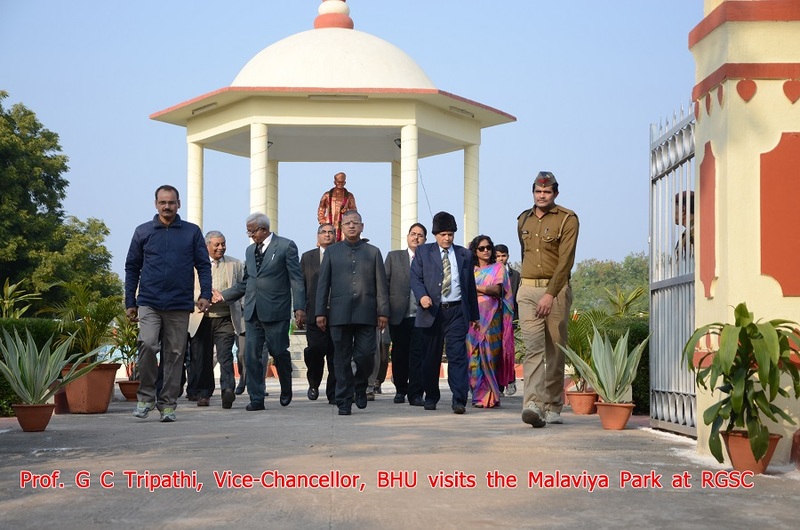 Shrimali, the then Vice-Chancellor of Banaras Hindu University, who in his address assured the people of Mirzapur, to develop this as a Centre for transfer of knowledge and technology from Laboratory to Land as the Mahamana's University assumes the responsibility of a co-partner in the various schemes of development of under privileged and tribal people of the region. Later Vice Chancellor, Prof. Y.C. Shimhadri, taking cognizance of the neglect of the unfulfilled promise, took the challenge to develop the Barkachha farm in the year 1999. A task force was formulated and an ambitious draft plan was prepared (Rs 365 Crores) and subsequently approved by the Executive Council of B.H.U (ECR No74) on 27.6.1999 for starting education and training programs under BHU Act 15(1) a for the benefit of the people of the region. Subsequently with the passage of time, with the limited efforts towards the problem of farm development, little results could be achieved. Prof. Panjab Singh, Vice Chancellor of BHU, immediately after his joining the University, took a serious note of the issues/problems pertaining to Barkachha and also the past efforts and within a fortnight, called the first meeting on 20.05.2005 and constituted a Core Committee to initially analyze and identify priority areas for this farm. He took the Barkachha issue as a "Centennial Challenge 2005-15" and proposed that a vision document, taking the earlier document details as reference, be prepared for phased development of the new South Campus to serve as a torch bearer for this region and meet the long cherished desire of Pt. Madan Mohan Malviya ji.